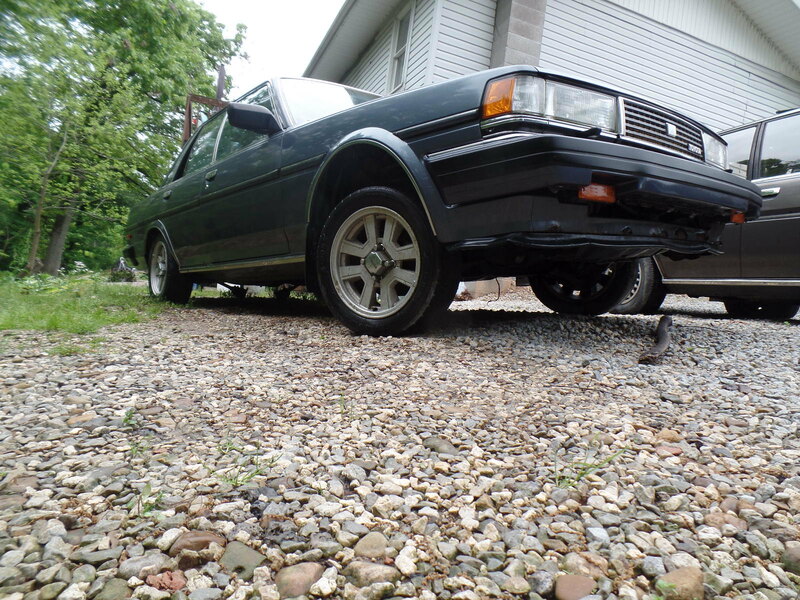 So, I have always wanted a 6MGE in my MX73 Cressida, after grenading a 5MGE, and a late night ebay purchase of a 7MGE bottom end from a MA70 Supra that was local and less than scrap value, I thought I was on my way to building 5M/7M hybrid known as a 6MGE. Much to my dismay once I got the 7MGE home it was basically scrap metal, it not only had a crank turned at some point in its life, but then a BHG had toasted the bearings on rods #5 and #6 and the rear main. Rod #6 had spun and ate the rod. 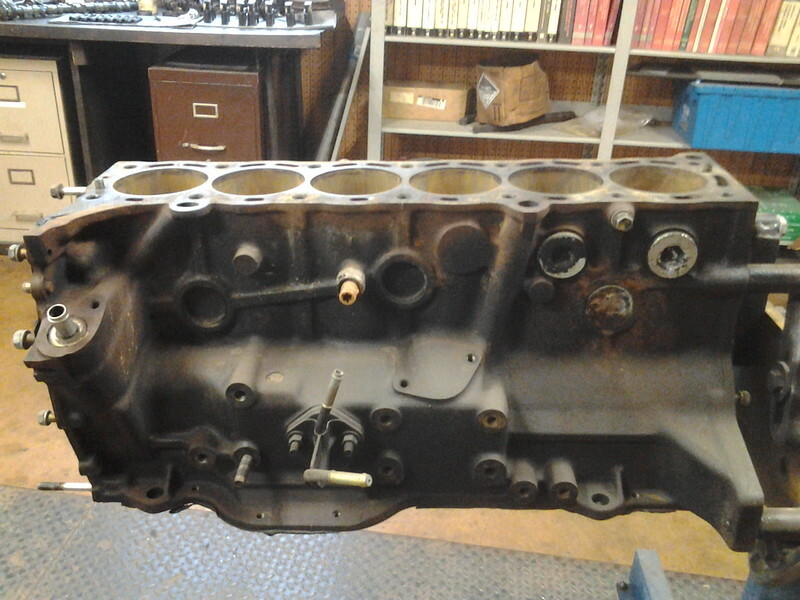 The rings were busted on #1 #3 and #6 and cut decent scores into the cylinder walls. 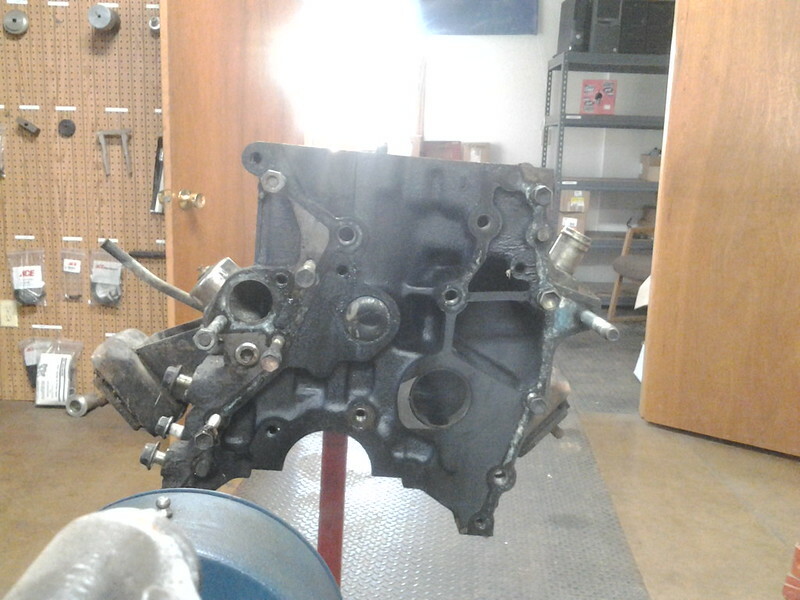 On top of that tearing down the 5M left me in need of a piston. Luckily through a friend on https://www.facebook.com/groups/ToyotaCressy/ I was able to come up with another 7MGE out of a 89 MA70 Supra. Obviously there is the differences of sump location to address plus the ever infamous 6M Pulley but I am going to try and compare and document what is needed to make it work as well as 7MGE and 5MGE differences. I know Tanya had documented this years ago on the celicasupra.com page but due to photobuckets greed it has all been lost. So, This is my first actual encounter with a 7MGE, I am very familiar with the 5MGE, having rebuilt and modding several over the years, so I have heard a lot of misinformation about these engines and the differences, I am really surprised by the similarities between the 2 engines. 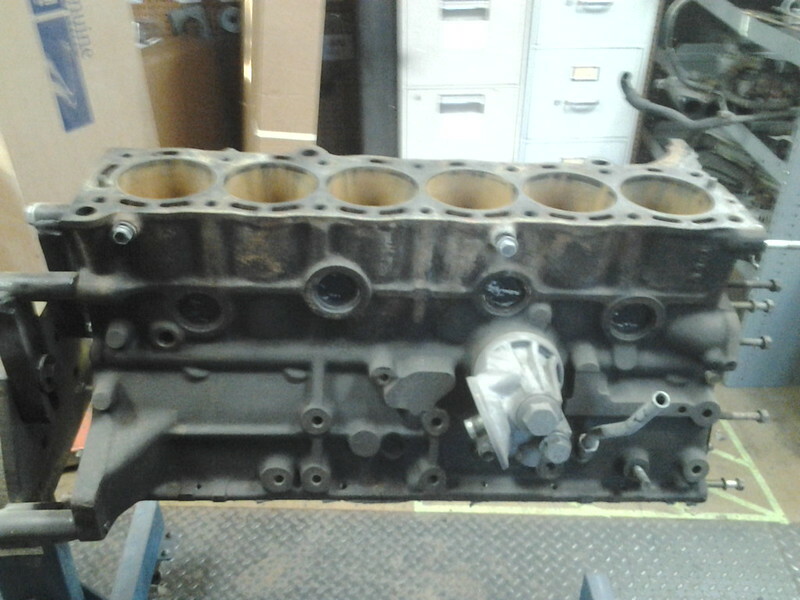 First off I have heard over the years that they mount different, wrong all of the mounting holes are the same, there maybe a variation of hardware but the bosses are all the same with the exception of the upper alternator mounting boss that Toyota for some reason cut on the 5MGE, timing cover mounts are identical, as are the oil pump mounts. 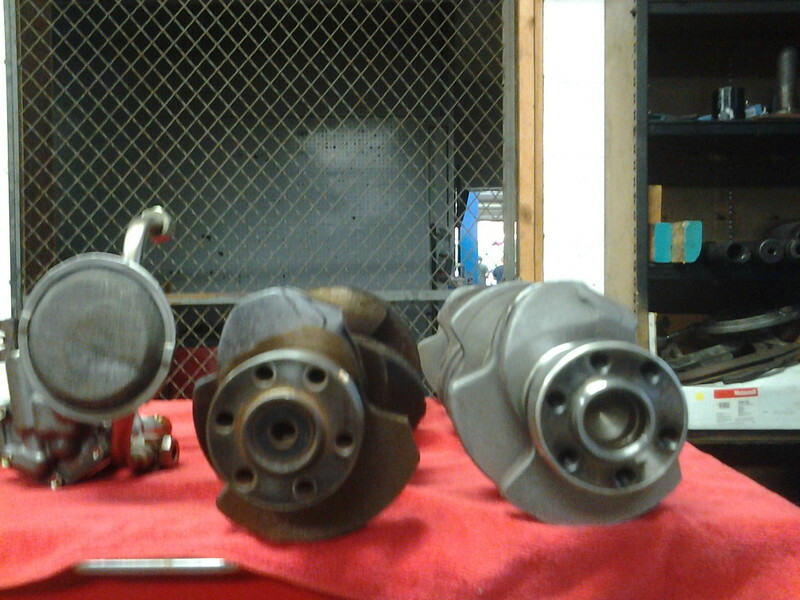 The differences are in the additional cooling jackets that the 7MGE has and the fore mentioned alternator boss. 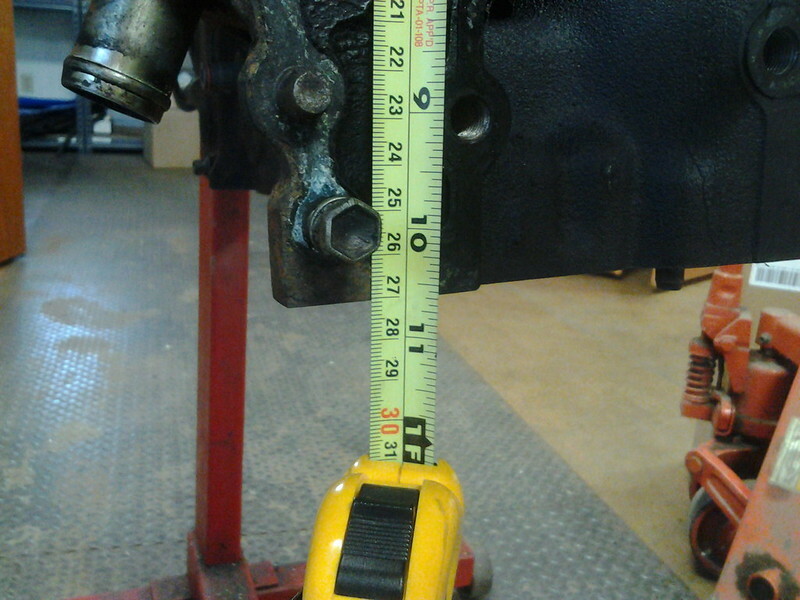 The deck heights are identical as are the bore and oil pan mounting flange. 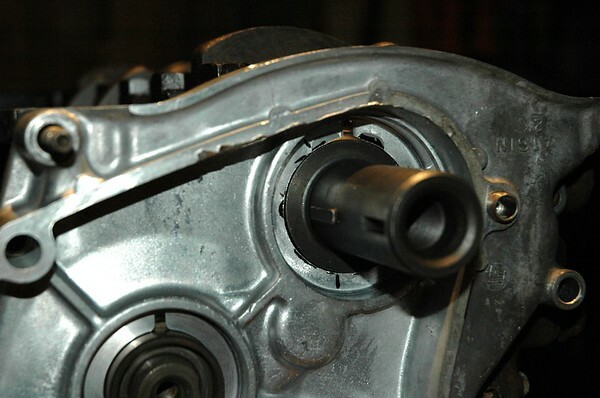 Now for some more misinformation, 7MGE has a different oil pump drive shaft, to some extent this is true, but not necessary for use with a 6M or 7M crank clearance, granted I am using a D port 5MGE for donor parts that may play a part in what pieces Toyota used at the factory, but the only difference in the oil pump drive shaft is the 7MGE no longer has the mechanical fuel pump cam on the end of it. The tapered area is the same between the two. 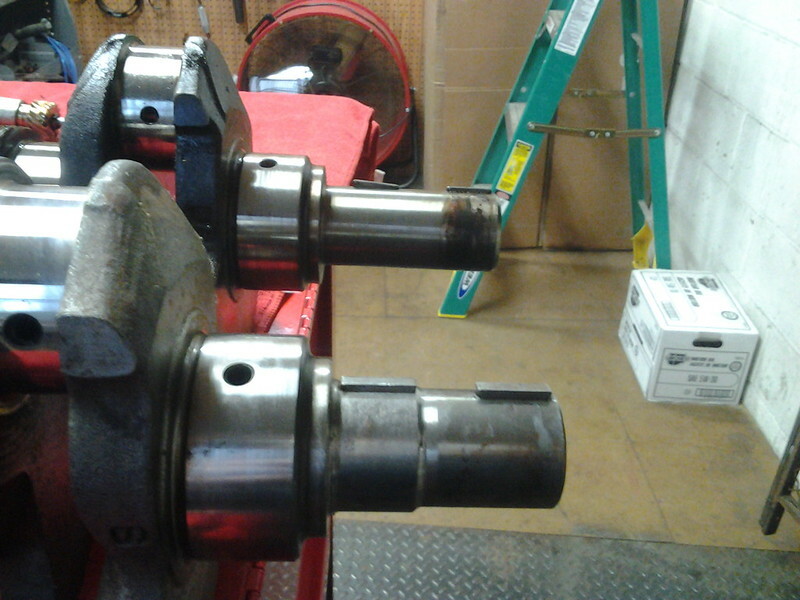 Other differences are the crank snout is different as well as the crank gear and balancer. 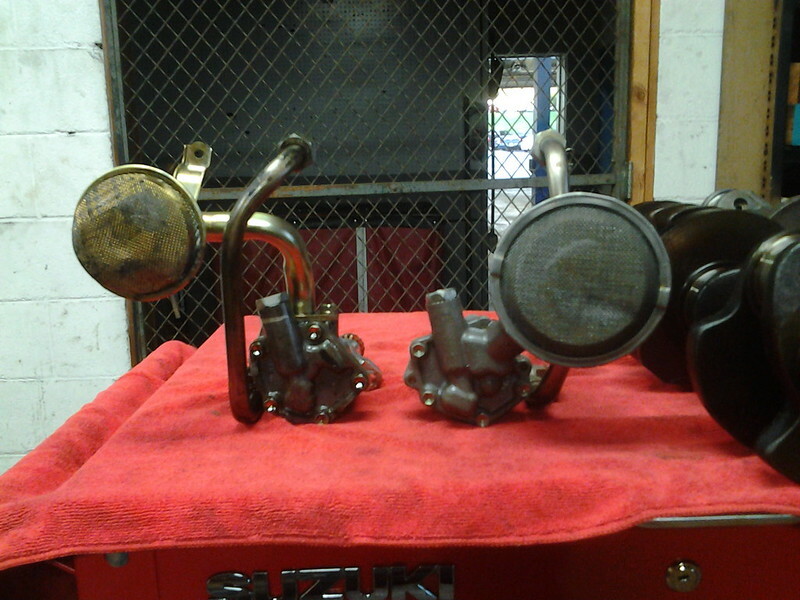 The mid vs front sump difference are interesting but not drastic, you have to use all front sump components or mid, you can not mix the two, it is surprising that the pumps actually mount different, it looks like Toyota took into account for 3 different mounting variations for the pump. Also the football plate on the exhaust side is a pressurized oil galley on both engines and is not a turbo return. 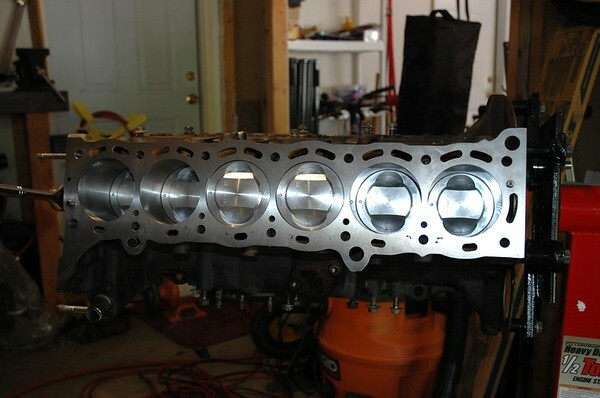 7MGE head gasket is slightly different, a little longer than 5MGE and has the extra coolant ports. I will try to keep my picture in the same order of 7M on the left or top. Would have posted more but camera died. 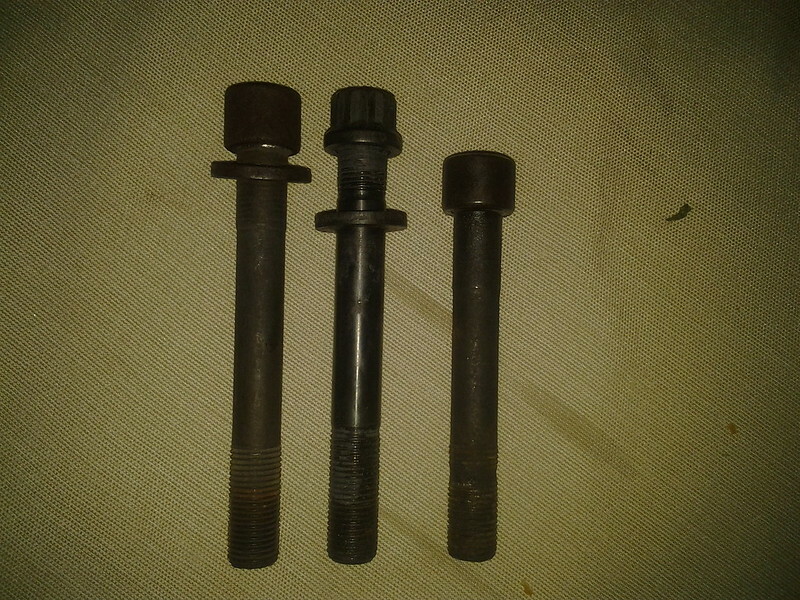 Here is something I found interesting the ARP head studs are the same length with the nut flush, as the 5MGE head bolts but the 7MGE head bolts are much shorter. This looks cool. I've owned 5M, 6M and 7M cars so it'll be neat to see how it turns out when they are mixed together. cool build keep us updated. 1. 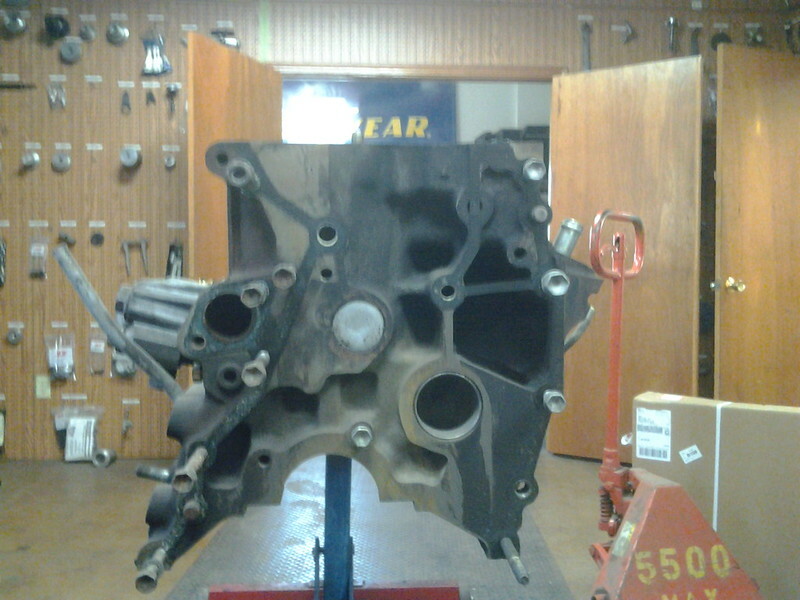 Have the rear lower timing cover machined with the block. 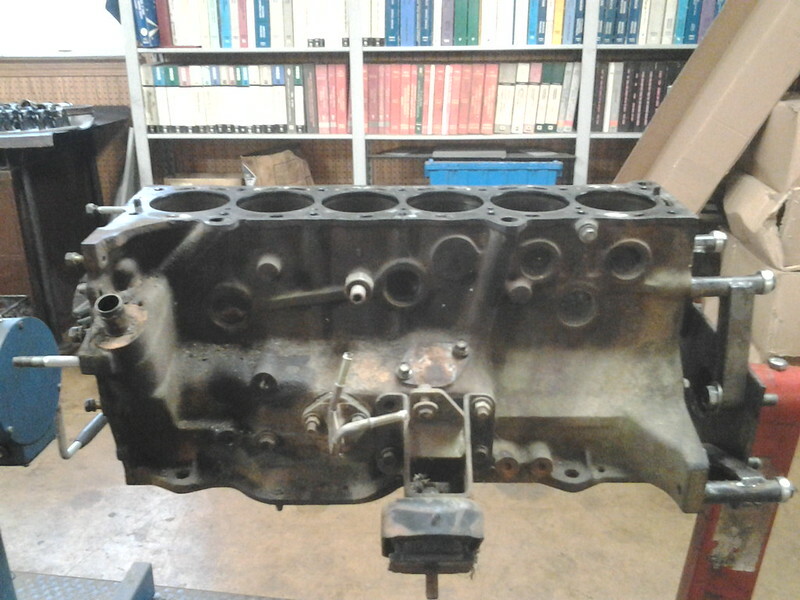 The head gasket crosses both surfaces. 2. 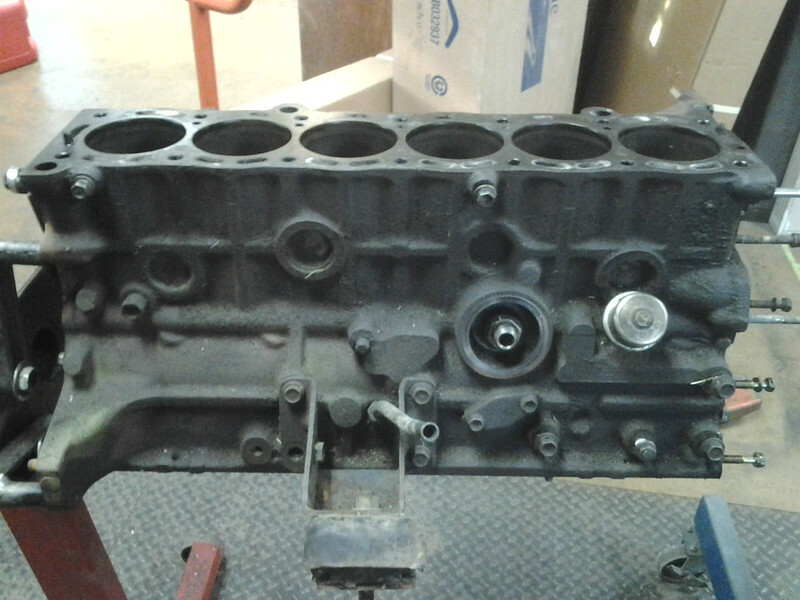 The lower timing cover will need have the crank hole enlarged. You don't have to be perfect as the 7M crank seal should keep the oil in. 3. 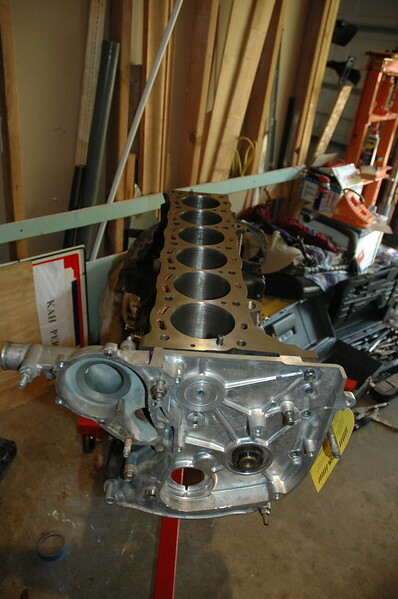 Use a 7M MLS head gasket (I used Cometic). After 2 failures of cheap fiber gaskets I learned my lesson. I used ARP 7M head studs with a ball bearing under each one (you noticed the head bolts were shorter and this compensates). 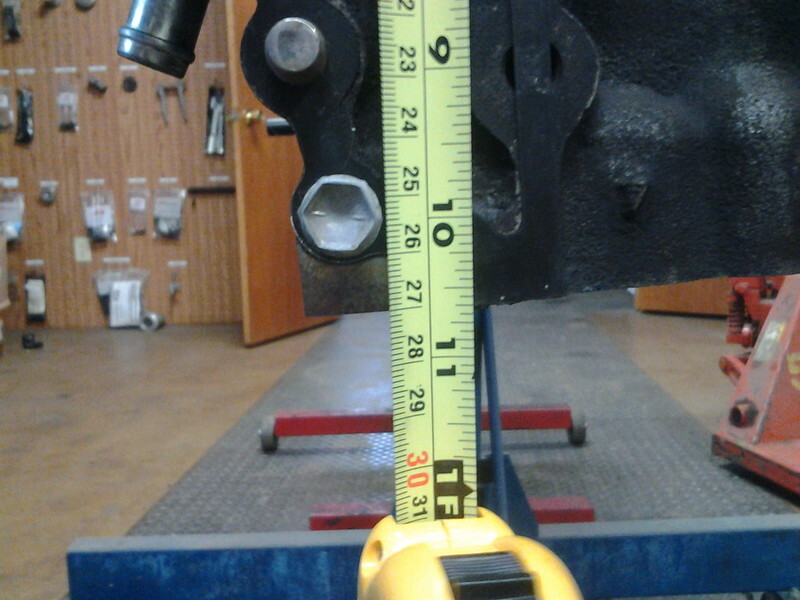 Torque the head to at least 80lb-ft.
4. 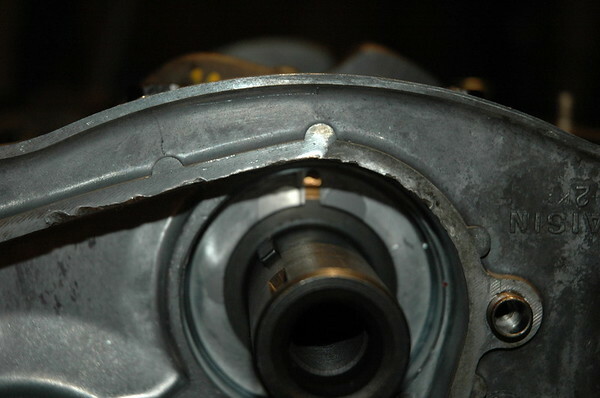 The 5M oil pump and pan are direct bolt-ons, but you'll need to drill a new dipstick hole. There is a flat boss cast into the block to guide you. I tapped the old hole and threaded in an allen plug with sealer.